The athletic design, agility and sportiness of an open combined with the incredible versatility of a spacious flybridge. Like an Open yacht in form and performance, but like a Flybridge with its generous distribution of space, the Sessa Flybridge 45 is a true turning point in this segment of the market. 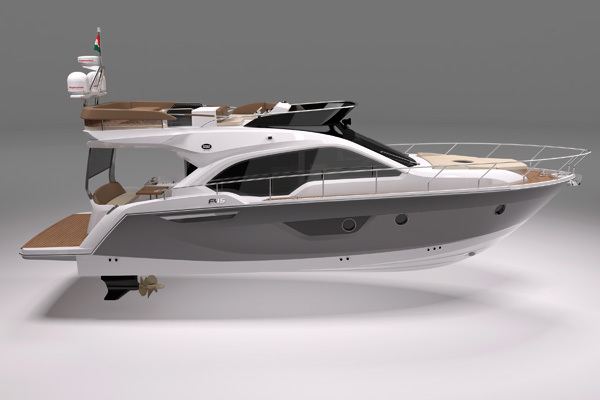 Rather than calling it a Sporty Flybridge, Sessa introduces the concept of the advanced open yacht for its Fly 45: a yacht that is perfectly in line with the trend towards increasingly hybrid products – as in automobiles, fashion and architecture – in which beauty and comfort meet. This is exactly what the shipyard’s new jewel designed by the unique Christian Grande does: offer the perfect combination of design and comfort, sportiness and practicality. And so here is a yacht designed for people who really sail, in response to all their needs: the perfect balance between indoor and outdoor spaces, bold lines and sculpted forms, performance, technologies and, in particular, outstanding optimisation of space in the first 45 foot vessel on the market with three very comfortable cabins (about 17 m2), featuring bathrooms with separate shower stalls, a spacious, ergonomic galley, a brightly lit living area and a Flybridge that can comfortably host 8-10 people (16.5 m2). ‘‘Setting the trends and responding to the demands of the market are the imperatives determining all new SESSA designs,’’ says Riccardo Radice. ‘‘The FLY 45 is one of those projects that seem simple, even obvious, when you look at the finished product: a spacious, well-lit, comfortable boat which manages to reconcile needs that are often in conflict, revealing that it is actually a highly complex design.’’ The design’s true complexity is undoubtedly a product of the need to respond to the multiple demands of a new kind of customer who is not exclusively Mediterranean but oriented towards new horizons, from the Caribbean to the Middle East. It is therefore above all a matter of integrating the new product into a wide-ranging industrial project in which a single platform can produce four models, each targeting a different public. The aim of all this is to continue implementing an industrial strategy with a focus on innovation, in which the cost of developing new products has no impact on the end customer. 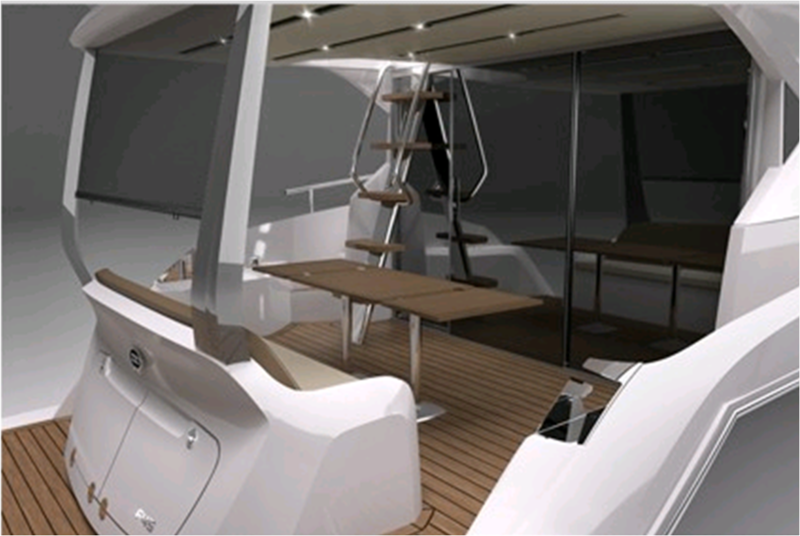 The shipyard’s development policy is based on the goal of constantly proposing products that offer all the technical solutions typical of bigger yachts to improve quality of life on board. Sessa is experienced making small boats and has developed an outstanding ability to make optimal use of all available space on board and an exceptional sense of the importance of detail. The decision to bring the galley onto the upper deck in a space that is perfectly defined by colour to permit optimal visual integration allowed the shipyard to make room for three cabins complete with double beds and two bathrooms with separate showers below deck. A highly practical stern designed to protect privacy, Sessa demonstrates its ability to innovate once again in the stern, with two uprights reminiscent of superyacht architecture forming a big ‘‘window over the sea’’ with an openwork shade to provide shelter from the cold and from curious eyes, so that it is possible to dine outside without attracting unwanted attention. 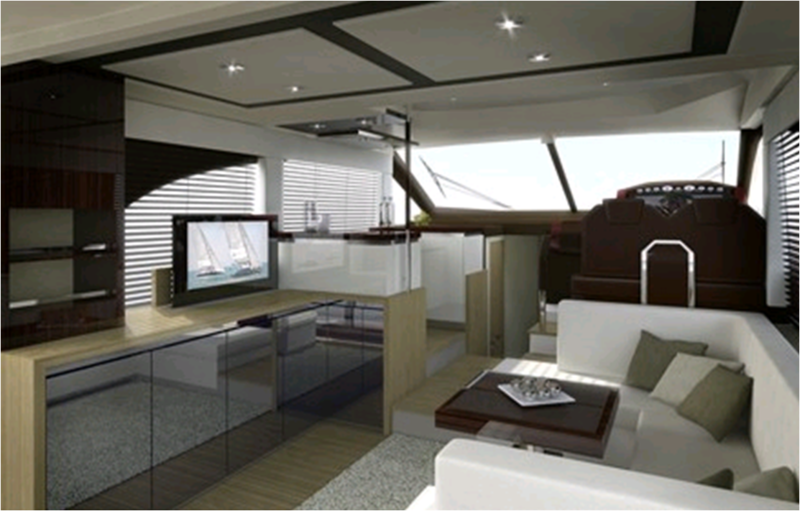 Such an ergonomic, complete flybridge has never been seen on a 45 foot yacht. The truly outstanding optimisation of space permits installation of a table and a corner sofa for 8-10 guests (in addition to the people sailing the boat), a kitchen cabinet and a chair to the left of the pilot’s seat, which, when the backrest is moved, can also be used to extend the big sundeck in the bow of the fly. 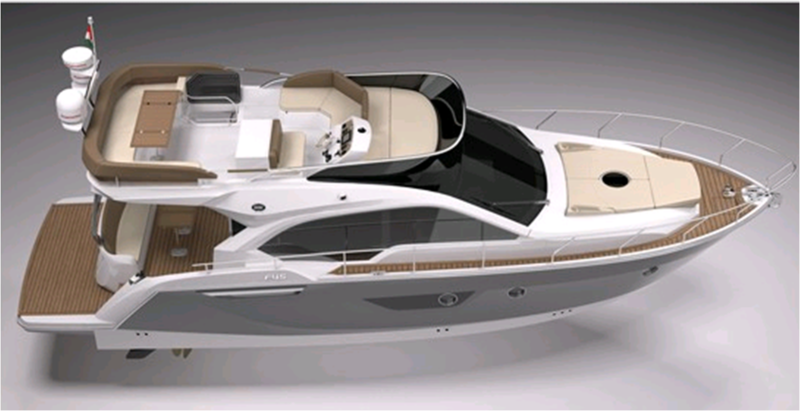 The 45 the Sessa Marine’s seventh boat with IPS drive, definitely uncommon in this type of vessel. 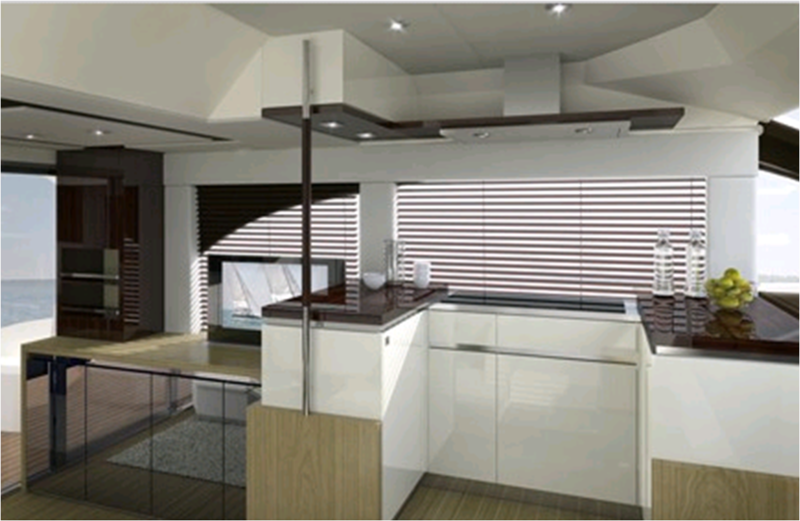 It is a technologically mature product concentrating all the experience the shipyard has acquired in hull design, weight distribution, choice of construction materials and selection of fittings. In addition, Sessa Marine’s technical office has formed a partnership with the Department of Mechanical and Industrial Engineering at Brescia University to work on development of new solutions for decreasing the level of noise and vibrations perceptible onboard. 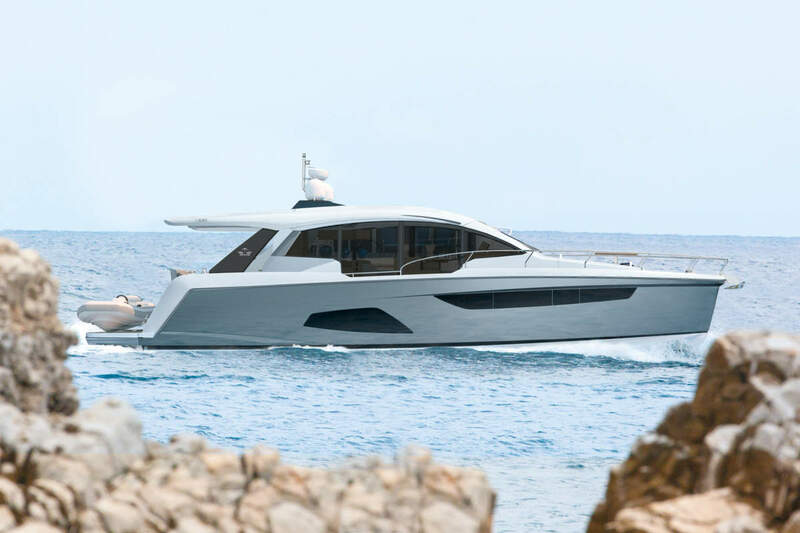 Moreover, the technical innovations previously implemented on the latest model in the yacht range, the C48, also appear on the 45, benefiting from the experience the company has gained. These innovations include a hydraulic platform – a useful aid for getting into the water, snorkelling and launching sea toys. 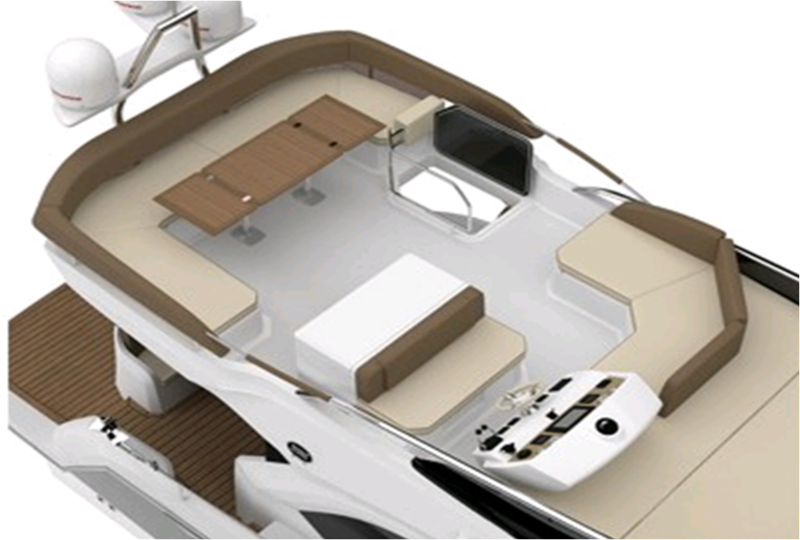 Sessa Marine continue their innovation through function for varying markets and again seemed to have hit the mark with the 45 Flybridge IPS 600.